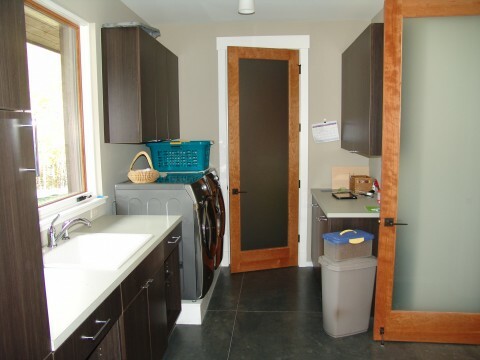 Often overlooked in a program, the average Mudroom just happens to be one of the most heavily used and under appreciated rooms in the typical home. Many homes will combine the owner’s entrance with the laundry room, which may make sense given the similar functions for both provided the location is adjacent to the garage and/or other entry points to the home. The simple fact of the matter is that mudrooms are very important spaces and should be considered in the program for any new residence. Whether there are children in the family or not, this sacred space is surely only second to the kitchen in terms of its utility in the modern daily life of the typical American. 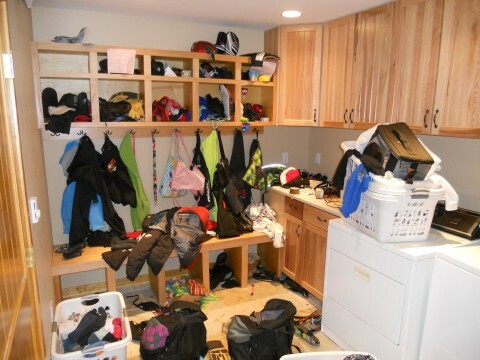 Mudrooms should have plenty of storage space for both utility needs as well as daily seasonal clothing. The colder the climate or larger the family, the larger the mudroom should be. And vacation homes in recreational areas absolutely must have some amount of space dedicated to these needs. Open “cubby” storage allows for clearly identifiable spaces for individuals to keep their belongings while closed cabinet style storage allows for the ability to hide other things like detergents, carpet cleaners, light bulbs and the other miscellaneous hardware necessary for a home. Note that family members will become territorial over their individual cubbies, so it is important to design the proper number and arrangement so there are always plenty to go around. Frosted glass doors allow light to pass through spaces without offering direct views into a room that is not always in a condition for hosting guests. Another useful space within the room is the “stop and drop”, where the day’s mail, keys and other organizational items can be housed without cluttering the kitchen with such functions. We also recommend a solid surface and durable floor, impervious to water. Options include concrete, tile, stone, vinyl and linoleum. Avoid woods or laminates as the water commonly present in these spaces are sure to cause damage. It is also wise to design a floor drain in or near this room. This will aid in managing other activities that may occur in the space, like washing the dog on a cold winter’s day.